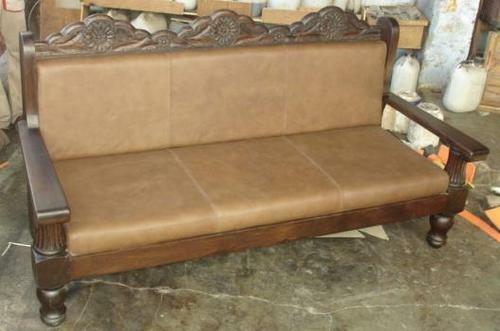 Our wooden leather sofas are designed as per the latest trends and fashions in the market and offer a modernistic appeal. Our range is hand carved using premium quality wood and leather. Furthermore, these sofa sets can be custom designed as per the requirements of our esteemed clients. We are the exporter and supplier of GOTS certified Organic Cotton Fabric, Bamboo Fabric, Organic Cotton Terry Towels, Organic Cotton Bed Linen etc, we are also the manufacturer and exporters of Indian Wooden Furniture that includes all range of home furniture & soft furnishing which is also sustainable; antique reproduction furniture and custom design new make furniture in Indian Rose wood (Sheesham), Acacia & Mango wood. We are into this business for the last 5 years and currently selling our products in US and Europe. We will be glad to work with you and give our best quality products with timely delivery and best pricing.